Curb ramp for access to garages by car or motorcycle. Equally useful for facilitating access of wheelie bins or deliveries using pallettrucks. 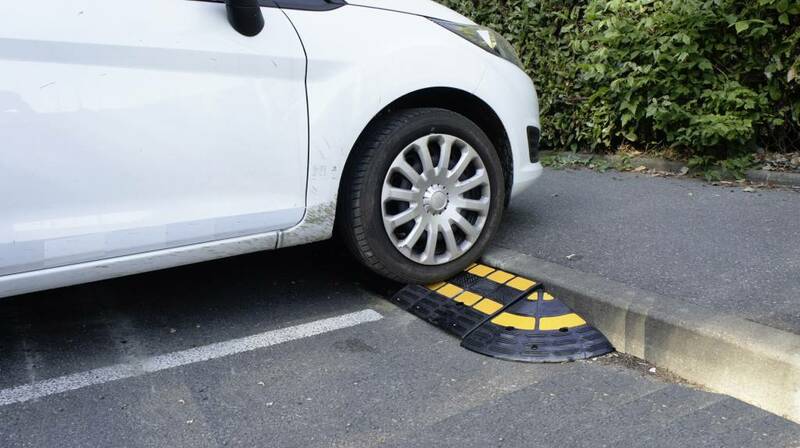 Manufactured from rubber this curb ramp forms the ideal aid for making garages, homes or any other location more accessible. 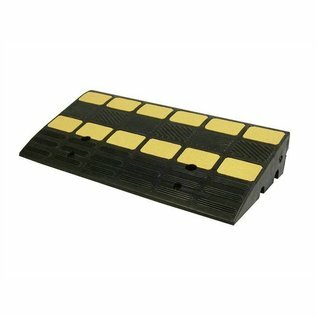 The curb ramp modules measure 600 (l) x 300 (w) x 100 (h) mm and can be joined to any length desired. 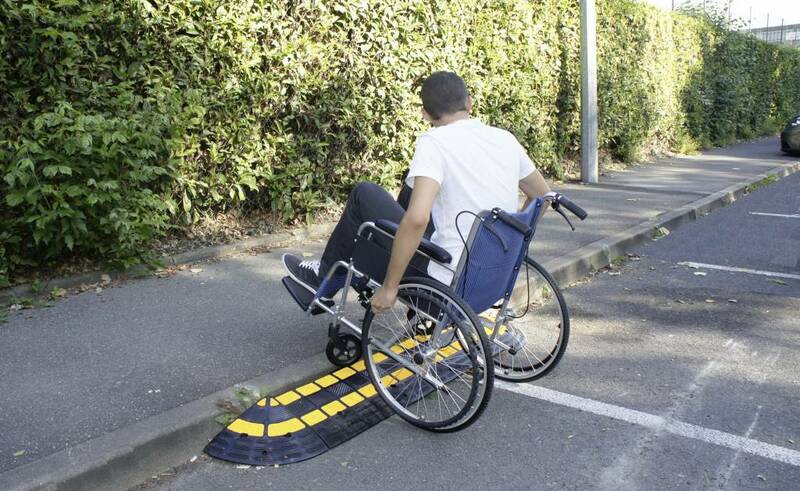 Each ramp has yellow markings which increase visibility, also in the dark. 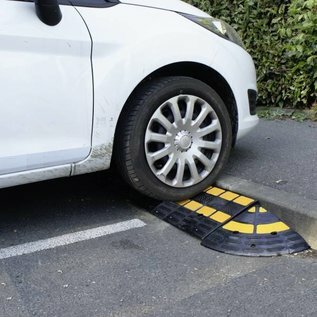 The curb ramp has two cable passages (30 and 25 mm) which allow a garden hose or cables to be laid freely underneath the ramp. Each element has 4 fixing points which allow permanent installation. Fixing materials not included.